Salesforce Community is a great platform for sharing information and collaborating with the people who can help the company enhance their business.By using Salesforce Community. All those individuals who are essential for completing the business goals that are set by the organization can collaborate with each other. Improves Service: Salesforce Community will help the organizations in connecting with their customers. Therefore It would be easier to understand the client’s requirement which will result in providing better services to them. 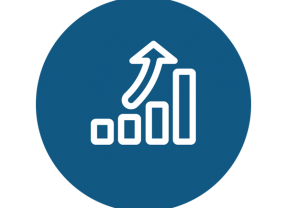 Enhance Sales: Because by using Salesforce community it would get easier for the Employees, distributors, and resellers to communicate with each other therefore it will drive more sales which will eventually result in more profit for the organization. 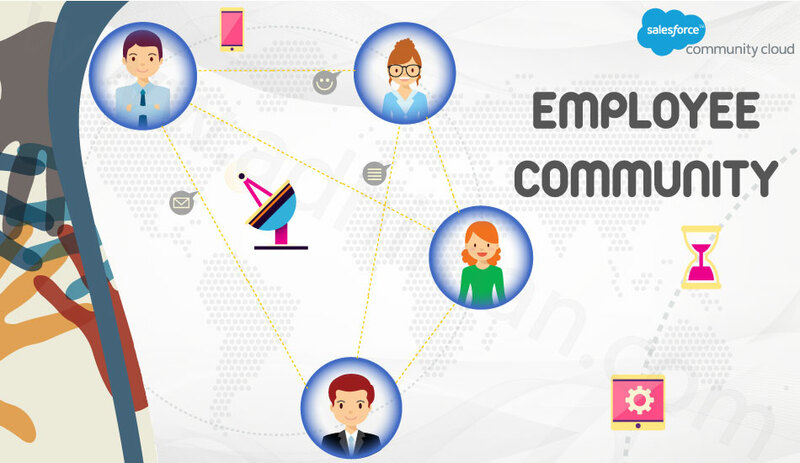 Before we go into the details of Employee Community, it will be great if we have basic knowledge of Partner community and also the significant differences between Employee Community and Partner Community. Introduction to Internal Community: The Internal community is used for the members who are directly part of the organization i.e. Employees. Introduction to External Community: External Community is created for the users who are not directly part of the organization. 1)Partner Community: As we all know the partners are not directly part of the organization but still they are crucial for enhancing the business of an organization. Therefore Salesforce has provided this platform of Partner Community where you can interact with your partner and also provide limited access of your org according to your requirement. 2)Customer Community: Just like the partners, Salesforce has provided a platform for customers as well. Using this platform an organization can interact with their clients. This helps them in solving the customer’s problem. It also helps them in understanding customer’s requirement. So, all in all, it will assist the organization in enhancing their business. Every team needs to have valid licenses for creating communities.The type of community that an organization can create depends on the kind of license that they possess. It also defines the number of communities that an organization can create. Internal User License: Employee Community is an internal user license which has access to 10 custom objects and tabs.It also has access to Accounts and Contacts. Customer Community: This community is best suited for the organization which has a large number of external users.A customer community can hold up to 7 millions users. Customer Community Plus: This community is best suited when there are an unlimited number of logins for managing customer support. Note: Both the Customer Community and Customer Community Plus are good for B2C Community, i.e.,.Business to Customer Community. Partner Community: Partner Community is best suited for B2B Communities.The users of Partner Community can Read, Create, and Edit the Salesforce standard objects such as accounts, contacts, and assets. Partner Community users also have access to send email and workflow approvals. Limitation On the Number Of Users: There is a limit on the number of users that a community must not exceed. If it does, then the organization will have to pay the extra charge for it. Note: If the number of users is exceeding this limit then not only it will result in extra charges, but It will also degrade the Salesforce Performance.Therefore it is recommended that users Limit should not be exceeded. Once it’s done, you will see the following message on your screen. Now click on the Go to Community Management Button which you can also see on the screen. Once you click on this button, it will take you to the Salesforce community preview page. From this page, you can manage all the functionality and the design of your community. This page is known as community management Page.From this page, you can add topics to your community. You can also add members who you think should have access to your community. Note: If you want to change the template that you have added in the beginning then you can do that as well. By adding Topics to your community, all the users who are part of this community can have a discussion related to the particular enable. Which will help the employees in quickly solving the problem? Your topic will get created. But still, you would not be able to view the topic in your community. 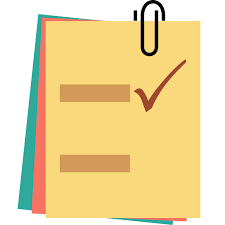 Note: To make your topic visible in the Community you will have to add them to the Featured List Of Topics. 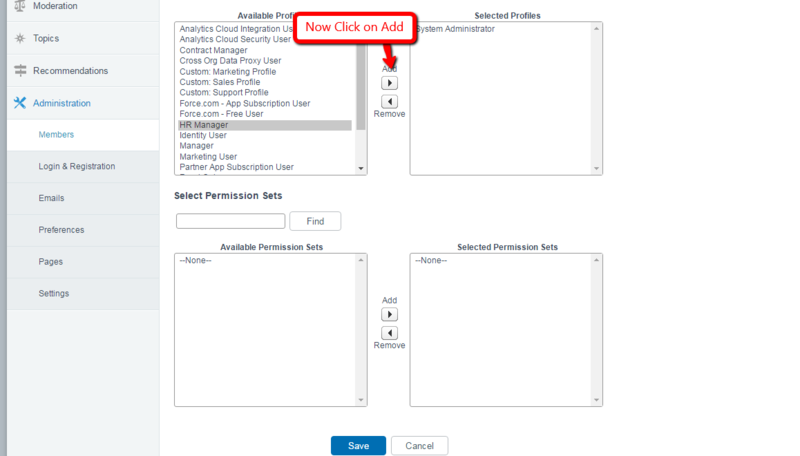 Once the settings have been saved successfully then the users of the respective profile or permission set that you have added in the community will automatically get the access to your Salesforce User Community. 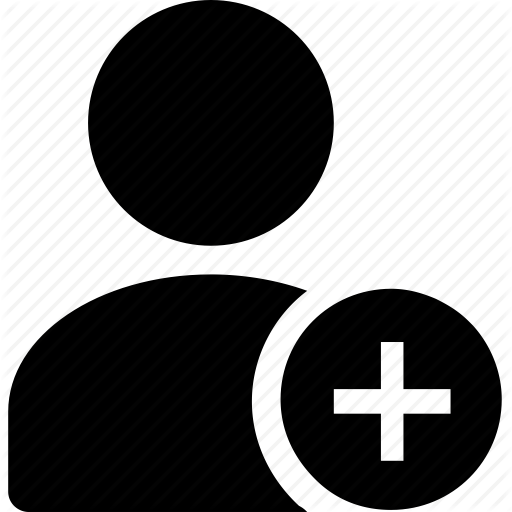 As specified above the level of access of these users will depend on the Profile and Permission set to which they belong. 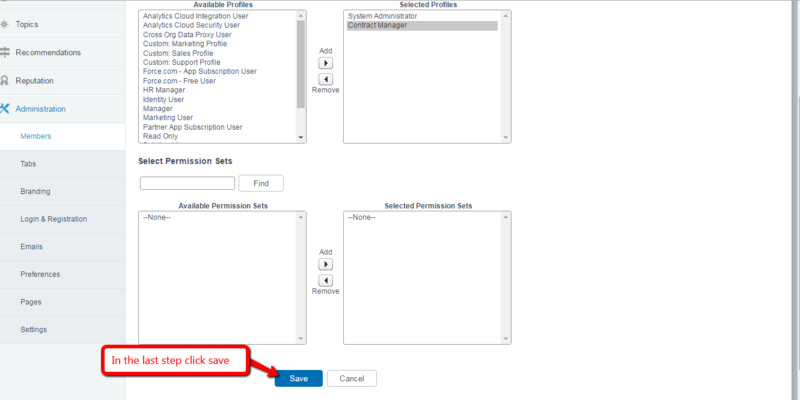 4) In the last step, Click save. Now you will notice that you are able to see all the options that you were not able to see earlier. Now once all the changes have been saved and published to your community Go and preview the community you will notice a different header logo on your community. Once your changes have been saved, you will be able to see the different login page for your community. Now publish your changes and preview your community. In Salesforce user community there is an option of branding under Administration tab in community management From where we can change the color of community header. Once the changes have been saved preview your community and see the changes. By using community builder, We can also add the company logo and header image to our community.The process of adding company logo and header image is very similar.So Let’s first understand the process for adding a company logo to the community. Now publish your changes and preview the community to see the changes. Now even though we have added users to our community but still they would not be able to access it because we have not enabled our community. 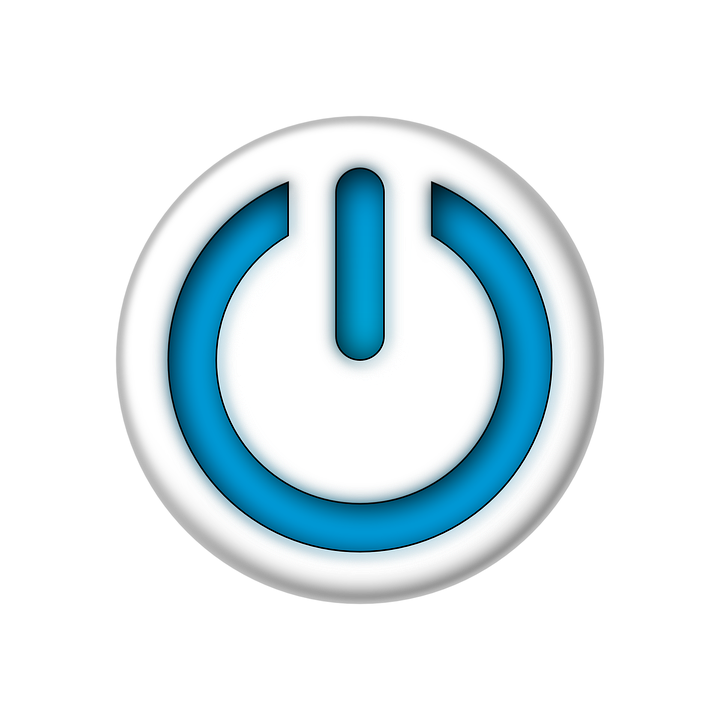 So to make sure that all the users that we have added in our community can view it we will have first to activate it. The process of enabling the Salesforce users community is very simple. Just follow the following to activate your community. After completing the above steps, your Salesforce community will get activated, and all the associated users will be able to access the community now.